Price: £2.35 (incl VAT) Sorry, this item is currently unavailable. Click here to receive notification when this product comes back into stock. 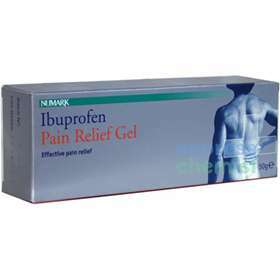 Squeeze 4 - 10cm of the gel (50 - 125mg of Ibuprofen) from the tube and lightly rub onto the affected area until absorbed. Do not use on children under 14 years of age except on the advice of a doctor. Product code: 1105436 Price: £2.35 (incl VAT) Sorry, this item is currently unavailable. Click here to receive notification when this product comes back into stock.